CONASYS, developers of a cloud-based technology designed to enhance the homeowner care and communication initiatives for new home builders & developers, are pleased to announce that they will be working with InHaus Development for their upcoming Solo Lofts project in Ballard, Washington. This will be CONASYS’ first foray into Seattle’s condo market and comes off the back of an exceptionally successful launch into the Pacific Northwest. It gives us the peace of mind of knowing that that once the project is completed and the keys are handed over, our residents will have a powerful tool that will allow them to better maintain and enjoy their home. InHaus Development, known for combining sustainable design with cutting edge architecture, worked with award-winning Seattle design-firm Chris Pardo Design, to create a 20-unit building whose stunning aesthetic is overshadowed only by its impressive BuiltGreen 4 star rating. And it was not by chance that InHaus chose Ballard as the location for their first project south of the border. Voted as “Seattle’s Best Neighborhood” by both USA Today and Seattle Magazine, the uber-trendy district has recently become synonymous with green-design, with the nearby GreenFire Campus and Ballard Public library receiving a plethora of accolades for their sustainable design. For InHaus, the decision to have CONASYS underpin their homeowner care initiatives was somewhat of a preordained idea. The unique platform will allow Solo Loft residents to better understand and maintain their home by providing them with a cloud-based interactive portal from which they can access all of the important information about their home, such as operating manuals, warranty information or even paint codes. The system will also send residents maintenance alerts, and will allow them to connect with InHaus via a one-click service request function. Peter Kefalas, Principal at InHaus, has been a fan of the platform for quite some time “The CONASYS platform is stunning in what it will allow us to achieve; not only can we better connect and converse with our homeowners, it also gives us the peace of mind of knowing that that once the project is completed and the keys are handed over, our residents will have a powerful tool that will allow them to better maintain and enjoy their home”. Pre-sales for Solo Lofts will be available in early 2014 and the listing will be handled exclusively by Redfin Builder Services. More information on the project can be found at http://www.sololofts.com. 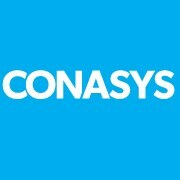 CONASYS Inc. (http://www.conasysinc.com twitter:@CONASYS) is a forward-thinking technology company whose cloud-based solutions are designed for new home builders and developers. Their cross-platform Homeowner Care Solution arranges home-specific property information into an interactive portal that allows users to better understand and maintain their residence, while their interactive Building Care Solution facilitates key building processes including documentation storage and maintenance scheduling. Since their inception in 2006 they have built a client portfolio of over 400 builders and real estate developers and have brought over 40,000 homes online. InHaus Development Ltd. (http://www.inhaus.ca) is a sustainable developer based in the Vancouver, BC. The company specializes in building architecturally unique, high quality, efficient homes and buildings that minimize ecological impact, and incorporate a long-term vision for smart densification. Its focus is on building sustainable infill developments in emerging neighborhoods, with fantastic amenities and walkable environments.